The Mayor has launched a programme of air quality audits to help clean up toxic air and protect the health of young children at nurseries in some of the most polluted parts of London. The audits will target sources of indoor and outdoor pollution, with five of the 20 nurseries trialling new air filtration systems to test their effectiveness at reducing indoor pollution. They will focus on reducing NO2, PM10 and PM 2.5 as research shows children exposed to these smaller pollution particles and gases are more likely to grow up with lung problems and to develop asthma. The new scheme follows 50 successful audits the Mayor delivered to primary schools earlier this year, which have already led to some schools taking action to close roads, upgrade their boilers, tackle engine idling and promote car-sharing schemes. A recent study by University College London and the University of Cambridge,funded by the Mayor, found that indoor air pollution was significantly higher inside classrooms, due to a range of factors including the age of buildings, ventilation, positioning of windows, and wall-to-wall carpeting. The findings suggested that the protection offered by the building increased the further away it was from the busiest roads and that airtight buildings may offer greater protection against pollution. The report also found that, in most classrooms, annual exposure to small particles was higher than recommended World Health Organization guidelines, and that this was caused by a combination of indoor and outdoor sources. 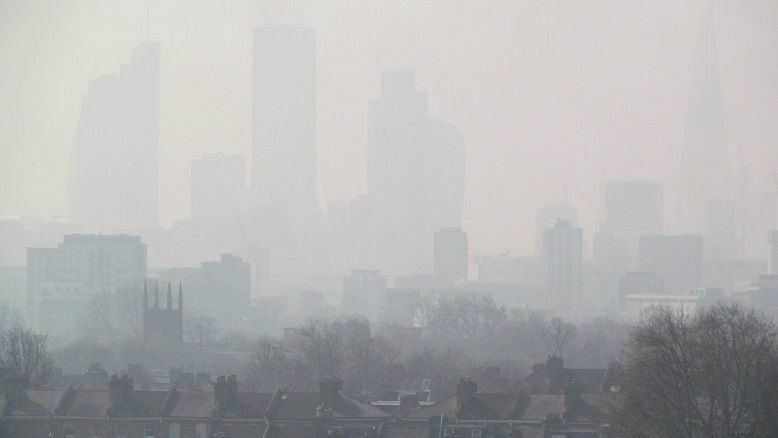 The impact of outdoor air pollution on indoor air quality underlines the importance of the hard-hitting measures Sadiq is already taking to tackle London’s toxic air, including introducing the 24-hour Ultra Low Emission Zone in Central London and cleaning up the bus fleet. The audits will also review a range of methods to reduce pollution outside nurseries,including restricting road access outside entrances at drop off and collection times, moving playgrounds away from congested roads, installing green ‘pollution barrier’ hedges, tackling engine idling and promoting cycling and walking. The £250,000 programme is funded as part of the Mayor’s Air Quality Fund and audits will be conducted by global engineering consultancy WSP, who will spend the next few weeks in the nurseries, assessing indoor and outdoor air pollution sources, looking at how children travel to the nurseries, and reviewing local walking routes including traffic crossings. These will be the first City Hall trials of indoor filtration, beginning in spring 2019, with results expected later in the year, alongside a toolkit that can be given to all non-participating nurseries so they can conduct their own audits. Built into the programme is a ring-fenced starter grant of £4,500 for the 20 nurseries to help kick-start recommendations on completion of the audits. The Mayor of London, Sadiq Khan said “It remains a shameful fact that London’s toxic air health crisis is harming the lung growth and respiratory health of our young children, and City Hall is determined to everything in our power to protect them. These nursery audits focus on indoor pollution as well as outdoor sources, and will help us understand ways we can stop toxic air from our congested roads raising pollution limits inside nurseries. “The 50 school audits we delivered are already resulting in positive changes that are helping reduce pollution and clean the air for thousands of pupils. We will continue to prioritise the health of all Londoners with a range of strong measures including the introduction next April of the 24-hour Central London Ultra Low Emission Zone, cleaning up our bus fleet and working with boroughs on local interventions. Louise Beanland, Governor of Melcombe Primary School who received an audit, concluded “I welcome the commitment that the Mayor is showing to doing everything he can to improve the health and wellbeing of our children. The announcement of the 20 nurseries selected to receive an air quality audit and, other interventions, is yet another sign of such a commitment’.